Crucial Environmental has years of experience providing in-depth asbestos surveys for commercial, industrial and residential properties across the UK. Whether you are concerned about asbestos on your site that is being refurbished or you need to have a check to create a management plan for your premises, we can help. For any form of survey, get in contact with us today by calling 01903 297818 or by filling out our contact form. One of the most popular services we provide are our management asbestos surveys. These function as the first step in producing an asbestos management plan which will help you adhere to the requirements of the Control of Asbestos Regulations 2012. Asbestos is not always visually obvious and it can be impossible to know whether a specific material contains asbestos just by looking at it, so an asbestos survey is the only way to be sure. The purpose of this asbestos assessment is to locate and assess any asbestos containing materials (ACMs) at your property – especially where these materials could be knocked, damaged or disturbed during standard occupancy, or due to foreseeable light maintenance or installations. If we find suspicious materials that may contain asbestos we will take representative samples. These samples are then sent off to a favoured UKAS-accredited laboratory where they will be analysed. The results will be used to compile a register of ACMs on the premises. The condition of each ACM is then assessed and we provide recommendations regarding their current state and their future management. After we have carried out the initial asbestos survey, we can conduct regular re-inspections to monitor the on-going condition of the ACMs. We offer fantastic deals on re-inspections if we have conducted the initial assessment on your property. This asbestos refurbishment survey is similar to our management asbestos survey except that intrusive and destructive methods are used to uncover the extent of ACMs within the fabric of the building – finding materials that may be entirely hidden within the structure. This form of survey will use intrusive and destructive methods to allow us to gain access to difficult-to-reach areas such as roof voids, wall interiors, solid floors and under crofts. This survey is ideal if you are having extensive refurbishment works carried out or if the whole building is being demolished. If you were to carry out refurbishment works and asbestos was present within the building structure then you are likely to disturb it. This is when asbestos is dangerous, as fibres are released into the atmosphere and can be breathed into the lungs. We are also offer management surveys with refurbishment or demolition specified areas. In this case the majority of the building would have a standard management survey, while intrusive and destructive methods would be used in the designated areas. We carry out a live asbestos risk assessment on site before we commence working. Could my property contain asbestos? If your property was built before the year 2000, it is possible that it may contain asbestos. While the use of asbestos was made illegal by regulations in 1999, it had been a material that was commonly used in building and construction. You should not assume that because asbestos is currently banned that it cannot be in your property. In an asbestos survey, an external accredited surveyor will inspect your property to attempt to discover any asbestos or ACMs on the site. If any suspicious material is located it will be sent to an accredited lab for analysis and you will be provided with details of any asbestos found. Why should I get an asbestos survey? An asbestos survey is valuable for a number of reasons. In the Control of Asbestos Regulations 2012 it states that in non-domestic premises, there must be a plan in place to minimise the risk of asbestos exposure to employees. When you have a survey carried out it can identify any asbestos currently on your premises and provide details on where the ACM is located and their current condition. From these details you will be able to create your asbestos management plan. If you are a homeowner and you suspect you have asbestos on the property, you are not required by law to have a plan in place. However, many homeowners naturally want to be aware of the existence of the material so that they can take steps to protect themselves and anyone living there from exposure. Yes. Depending on your needs and requirements you can choose from a variety of asbestos surveys. At Crucial Environmental, we offer asbestos management surveys which are designed to locate and assess any asbestos in a property and establish the condition. These can be used for businesses to create an asbestos management plan. If you are planning to have work carried out on your property or you are having the entire building demolished and are worried about disturbing asbestos or ACMs, you should opt for an asbestos refurbishment and demolition survey. This survey will use invasive and destructive techniques to establish the extent of asbestos within the fabric of the property. 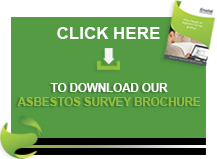 If you are buying a property and are worried about the potential for asbestos, you should choose a home buyer asbestos survey. This will look into the asbestos and ACMs in the property that you are considering purchasing so that you can make an informed choice. Where could I find asbestos in my property? Asbestos was a commonly used building material with a wide variety of uses. This means that it can be found in a huge number of places throughout residential and commercial properties. It has been used in insulation, cement, ceiling tiles, water tanks, piping, chimneys, partition walls and more. It’s very possible that you could live in work in proximity to asbestos without being aware of it. Who is responsible for asbestos in commercial buildings? Generally it is the owner of the commercial or industrial property who is responsible for asbestos management, but if you are a landlord, tenant or managing agent, you should check your contract to establish whether you are responsible. If the contract indicates that you are responsible, it is up to you to carry out a risk assessment and have a plan in place to limit the risk of any exposure to asbestos. Having an asbestos survey carried out is the first step in this process. It can be. Undamaged asbestos that has not be disturbed is a relatively low risk and poses no immediate danger to health. But when the material is disturbed and fibres are released into the atmosphere it can be breathed into the lungs. This is when asbestos is a hazard to your health. Identifying asbestos can be very difficult, not least because it was often used within other materials such as cement and spray coatings, meaning it’s not always visible or obvious. Some materials containing asbestos look identical to those that don’t have asbestos. The only truly effective way to identify asbestos is to have a survey carried out by professionals. If I have asbestos, do I need to remove it? No. Many commercial property or home owners believe that if they have asbestos on their property, the best thing to do is to remove it, but this isn’t the case at all. In fact if the asbestos is in good condition, it’s usually much safer to leave it in place and ensure that it is not disturbed. Your asbestos survey will guide you as to whether you need to have the asbestos removed. If you need to have either a Management Survey or a Refurbishment and Demolition Survey carried out, Crucial Environmental can help you. Please contact us today if you have any questions or would like to book for us to come and survey your property. All reports are emailed to you in PDF format. For more information or to find out your asbestos survey cost, Call us on 01903 297818 or complete our contact form today!